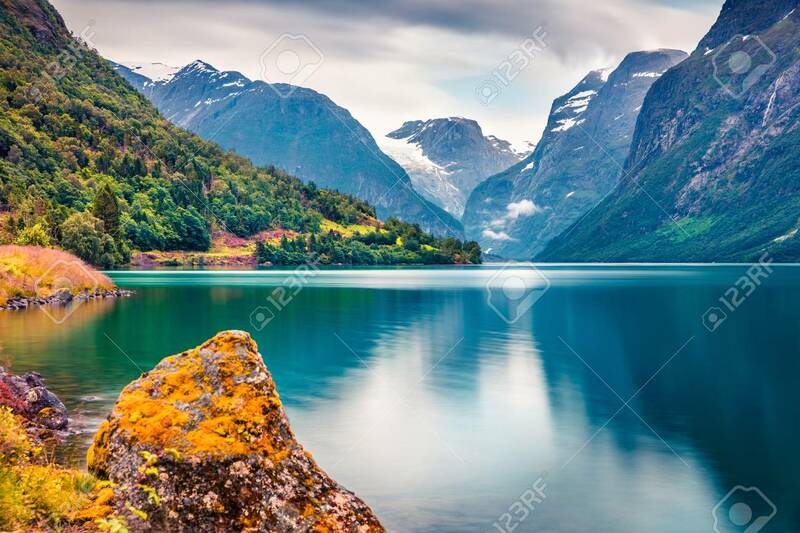 Dramatic Summer View Of Lovatnet Lake, Municipality Of Stryn, Sogn Og Fjordane County, Norway. Colorful Morning Scene In Norway. Beauty Of Nature Concept Background. Fotos, Retratos, Imágenes Y Fotografía De Archivo Libres De Derecho. Image 116550570. Foto de archivo - Dramatic summer view of Lovatnet lake, municipality of Stryn, Sogn og Fjordane county, Norway. Colorful morning scene in Norway. Beauty of nature concept background. Dramatic summer view of Lovatnet lake, municipality of Stryn, Sogn og Fjordane county, Norway. Colorful morning scene in Norway. Beauty of nature concept background.